As the 10th anniversary of the 9/11 attacks approaches, a comprehensive public opinion survey finds no indication of increased alienation or anger among Muslim Americans in response to concerns about home-grown Islamic terrorists, controversies about the building of mosques, and other pressures that have been brought to bear on this high-profile minority group in recent years. Muslims in the United States continue to reject extremism by much larger margins than most other Muslim publics, and a higher percentage views U.S. efforts to combat terrorism as sincere than did so in 2007. At the same time, majorities of Muslim Americans express concerns about Islamic extremism here and abroad – worries that coexist with the view that life in post-9/11 America is more difficult for U.S. Muslims. Based on interviews with 1,033 Muslim Americans conducted this year (April 14-July 22) in English, Arabic, Farsi and Urdu, the wide-ranging report looks at Muslim Americans’ political and social attitudes; religious views and practices; experiences and difficulties faced after 9/11; views of Islamic extremism; views of U.S. efforts at combating terrorism; and views of national conditions. 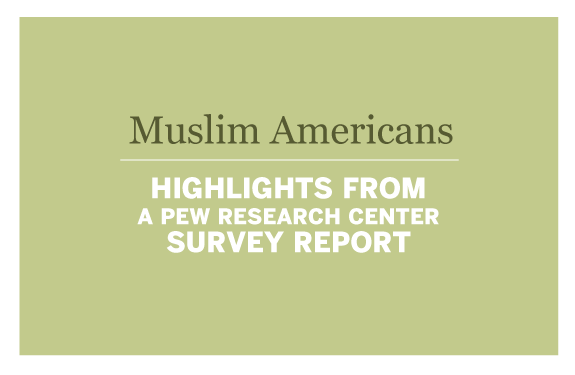 In addition to updating trends from earlier Pew Research surveys, the report includes comparisons of Muslim Americans with the general public and with Muslims in other countries, as well as detailed demographic information. Full Report: Read the full report on the Pew Research Center for the People & the Press website. Arabic Translation (PDF): Read the summary of the report in Arabic. Press Release: Read the press release. 2007 Report: Read the previous Pew Research Center report, Muslim Americans: Middle Class and Mostly Mainstream. This slideshow highlights some of the findings from the new report, Muslim Americans: No Signs of Growth in Alienation or Support for Extremism. Go to the slideshow or view as an infographic. 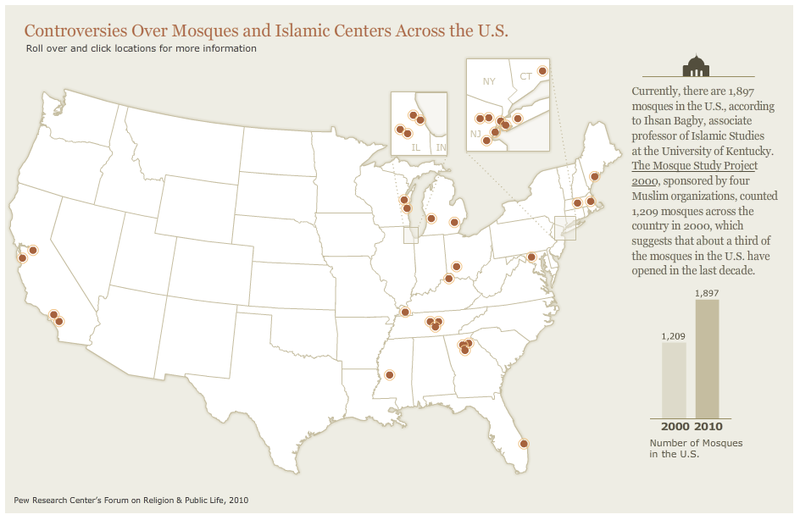 Controversies Over Mosques and Islamic Centers Across the U.S. This interactive map provides a brief overview, based on news reports, of 37 proposed mosques and Islamic centers that have encountered community resistance in the last three years.